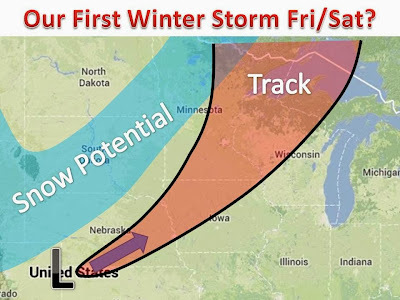 Midwest Winter Weather Blog: Winter Storm to Threaten the Dakotas and Minnesota? 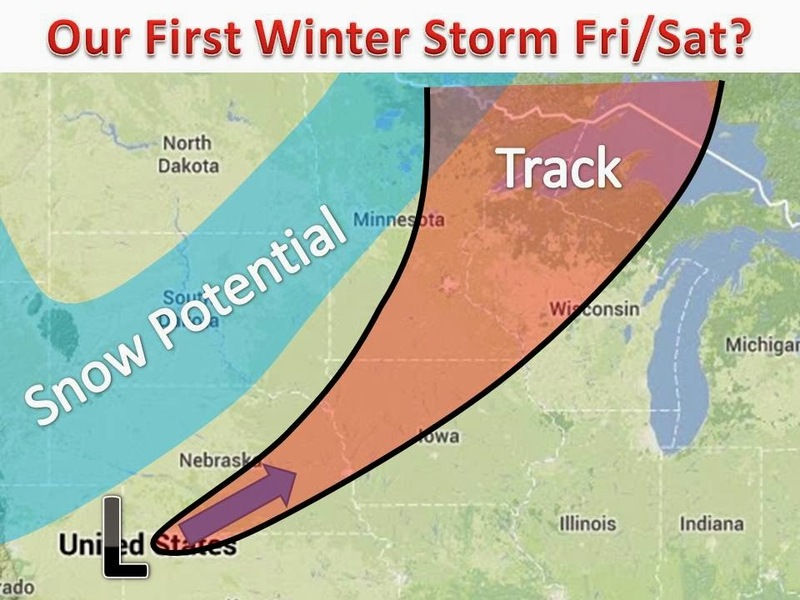 Winter Storm to Threaten the Dakotas and Minnesota? It is starting to look more and more possible later this week. A strong area of low pressure will ride a Canadian cold front northward on Friday. The question is whether or not the cold air will make it in time to kick the rain over to snow and possible lead to some decent accumulations. Lots still up in the air, but this is our first real threat for accumulation snow in our forecast area. Stay tuned!